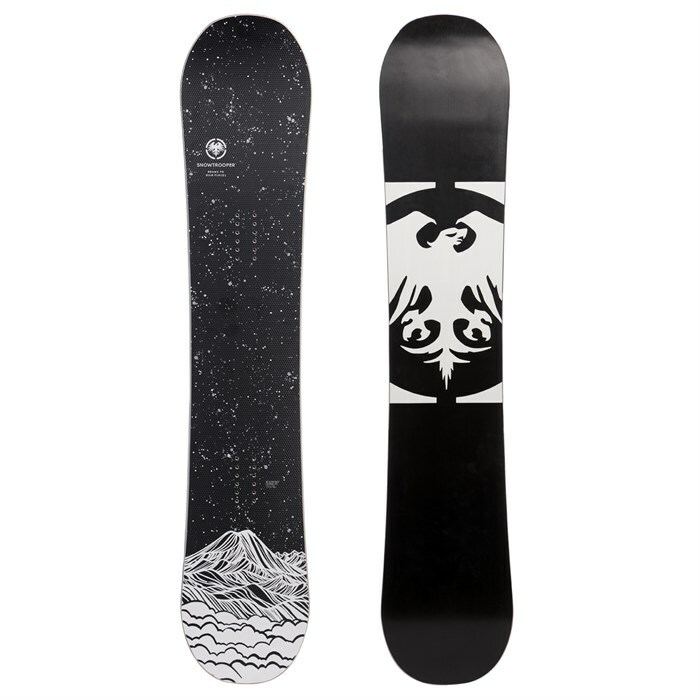 A wider directional twin, the Never Summer Artist Edition Snowtrooper X Snowboard is an extremely stable platform that doesn't ride like a tank. It has a slightly setback stance and a medium flex pattern that pairs perfectly with its Original Rocker Camber Profile to give you a flowy feel that still has tons of bite when duty calls. If you're riding chairlifts, there's more than a chance that this board is perfectly suited to today's conditions. This shape is a timeless classic from Never Summer and one we're stoked to be a part of: the limited edition artwork is by a member of the extended evo fam, @drawntohighplaces! Exclusive evo Artwork by Nikki Frumkin  An alpinist and artist from Seattle, @drawntohighplaces is an inspiring member of the evo family. Her watercolor work is informed by the wild places she inhabits, and she often paints while in the mountains. Her artwork is driven by the beauty and push to preserve these beautiful places.